For all of you who are scouring for romantic Diwali pics for your lover we have a nice collection. 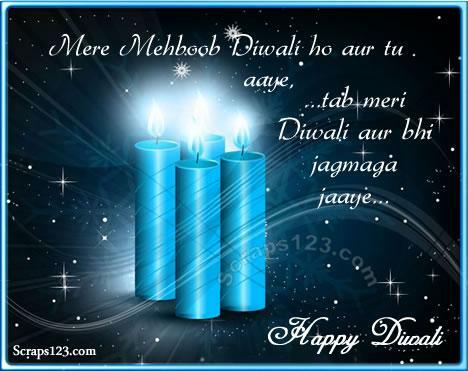 Given here are some of the most suitable and expressing Diwali images for lovers. दीपक का पर्काश हर पल आपके जीवन मैं एक नयी रौशनी दे, बस यही शुभकामना है हमारी आपके लिए दीवाली के इस पवन अवसर पर ..